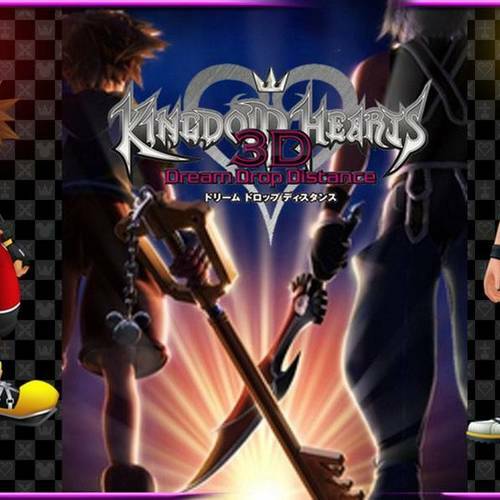 I've always been interested in doing Kingdom Hearts fandubs and thought it would be fun to cover the Traverse Town chapter from Kingdom Hearts Dream Drop Distance. For those of you who don't know what Kingdom Hearts is. 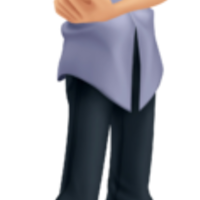 it is a collaboration between Square Enix and Disney in which they have crafted an entirely new universe, with its own unique characters, whilst blending in characters and worlds from Disney Movies and the FInal Fantasy Franchise. Within these chapters contains the cast from The World Ends With You and thus both the Kingdom Hearts Universe/TWEWY universes collide in which Sora and Riku train to become Keyblade Masters and wind up getting tied into the Reapers game. Editing will be overseen by myself and I intend to release this series in 4 parts. I will do my best to have these ready as soon as possible. Deadline is 20th of May. "Hey whats with my clothes! Must be more of Master Yen Sid's magic. 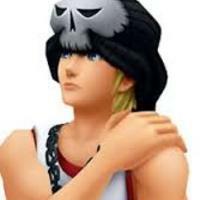 "What happened to Riku? Rikuuuuuuuu! Helloooo! Rikuuu!" "Wow! Never been this way before! Oooo whats that?!" Beat is a contestant within the Reapers game. He acts like a hard like punk in which to hide his inner feelings. He's willing to do anything to protect his sister Rhyme and that of his friends. By any means necessary. He is often eccentric and freaks out whenever his pride and ego is brought into question. "I got you now Joshua! Once I take you down yo. Me and Rhyme's is going back to where we belong!" "I just... I want to protect the one person that matters..."
"Don't need em when I got my game partner. And I don't need you!" 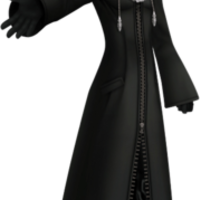 Young Xehanort serves as the main antagonist, who is seemingly omniscient and enigmatic. Unfortunately this is his only line for this project. "How did you get here? By choice or chance? You cannot control what you are yet not aware of. This wakeless sleep will be your prison. To wander forever." Joshua is a rather enigmatic and omniscient figure, seemingly harboring own hidden agenda, and utilities the other contestants to do his dirty work. His prideful nature, boasting and belittling nature is often irritating, yet insightful. I would also add that Joshua has a LOT of dialogue throughout this project. "Wow! Where's your portal?! It takes something special to jump between grounds without one." "Hello Neku. How long the days without you have felt." "I'll tell you what "Riku". I have a little errand for you..." "Aw! At least hear me out! I'm looking for a girl named Rhyme. She's the key to the portal. And on the other side, who knows who we'll find. 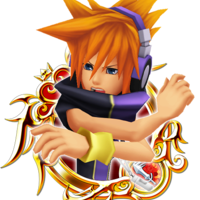 Maybe even your friend... Sora..."
"Shut it. Talk about noise. 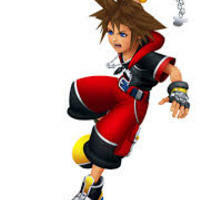 Sora right? Looks like you're not a player." "Come on! Keep up! In the game! Players get marked by the time limit. And this game. I cant afford to lose. I need my game partner." "I brought you Sora! We had a bargain. Hey! That wasn't the deal! You said you wouldn't hurt him!"